Providing your stove with the correct type of fuel is paramount to its function. Approved smokeless fuel & wood (seasoned & kiln dried) are pre-requisities for a healthy stove and flue system. Understanding your fuel, appreciating how much you need, what it will cost, where to buy it from, how to store it and knowing what gadgets you really need are important factors in the effective running of your solid fuel heating system. Whatever fuel you choose to burn – remember – always have a flame! Your stove should not be treated like a furnace whereby you throw everything on there from a sheep head to your old fence! Avoid using driftwood, and any wood that is treated or glued such as MDF and plywood. Don’t burn plastic or coal either. You’ll simply end up destroying your stove and flue, and you’ll be putting yourself and the environment at risk. The manufacturer of your stove and flue will recommend specific fuels that you should be using. If you have a wood burner then you should only be burning either well “seasoned” and/or kiln dried wood. If you have a multi-fuel stove then you should only be burning smokeless fuels and seasoned and/or kiln dried wood. What a product! Made from the sun and providing humans with heat since we learnt how to rub 2 sticks together. An environmentally friendly and abundant resource if managed correctly. When burnt it is considered carbon neutral. This means that the same amount of carbon is released whether you burn it or leave it to rot in the ground. However, if it’s burnt prematurely before it’s allowed to dry out or “season” – it is a bad choice for fuel and is causing a negative environmental impact. In fact, burning a log that is not properly seasoned has been proven to be detrimental to air quality. Wood has water running through its “veins” allowing it to grow. 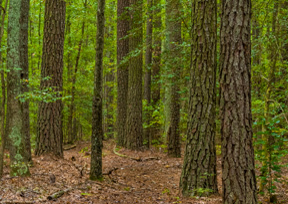 When you cut a tree down, the water remains inside it and over a long time will eventually seep out leaving the wood to dry out. This moisture content can be measured. Seasoned firewood refers to how dry the logs are. “Green” wood refers to how “wet” a log is. The greenest logs are those that have just been cut therefore are considered to have the most moisture content – between 60-80% water content! However depending on the type of wood, the moisture content will change. For example ash has less moisture content than pine when first cut. Consequently it dries out faster. The longer wood is left to dry the less moisture content it has and the easier it will be to burn. According to one European Standard an “Oven Ready” log should have less than 25% moisture content (this type of log is not suitable for your fire!). 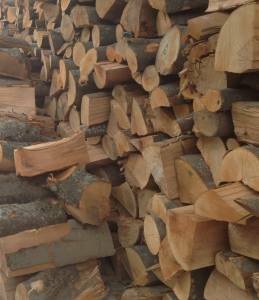 A seasoned log is less than 20% and a kiln dried log has moisture content below 15%. Most appliance manufacturers recommend moisture levels of less than 20% for best performance. When your log is put on your fire, the first part of combustion is to dry out the log until it has 0% moisture content. If your wood is considered “green”, a lot of energy is spent in the fire drying the wood out until it is ready for burning and actually producing heat. Consequently burning green wood is false economy as it is not producing heat but using additional heat in order to dry it out. In the process of drying out logs during combustion, an adverse effect occurs and a sticky tar like substance called creosote is produced. This substance tends to stick to your flue decreasing its diameter and preventing effective passage of the fires’ waste products as they are expelled into the atmosphere. Thus you are more susceptible to CO poisoning. Creosote is also flammable so the risk of a chimney fire is considerably increased. This is another reason why you should only burn seasoned and kiln dried logs. Coincidentally, it is also harder to light a fire with a green log – and it will hiss, crack and pop a lot scaring the bejeezers out of Rover and Sylvester trying to sleep peacefully in front of your fire! More importantly, by burning this wet wood, particulate matter is released which contribute to air pollution. This can cause damaging effects on our health. In summary, you’re polluting the air, destroying your expensive stove and flue system, and throwing money away by burning wet wood. Just don’t do it! You might as well throw water on your stove. However if the log is “relatively” dry and good to use on a fire, once it has completely dried out, volatile gasses are released from the wood that produce heat when combusted. If you burn a log with a 40% moisture content and then burn one with a moisture content of 20%, you’ll produce nearly twice as much heat from the log with the lesser moisture! In order to produce 4Kw of heat, an open fire will need 16 logs, an old stove (about 10 years) will need 6 logs and a new SIA EcoDesign Ready stove will need 5. To “season” or dry a log out, it will completely depend on the species of the tree and how it is stored; Ash in the right conditions can take 12 months whereas Oak can take more than 36 months! – that’s 3 times as long! You should also avoid burning treated or glued wood (such as MDF, ply and chipboard) as these produce pollutants and poisonous gasses. Driftwood releases salt which damages the components of your stove and flue. Wood is not a smokeless fuel. 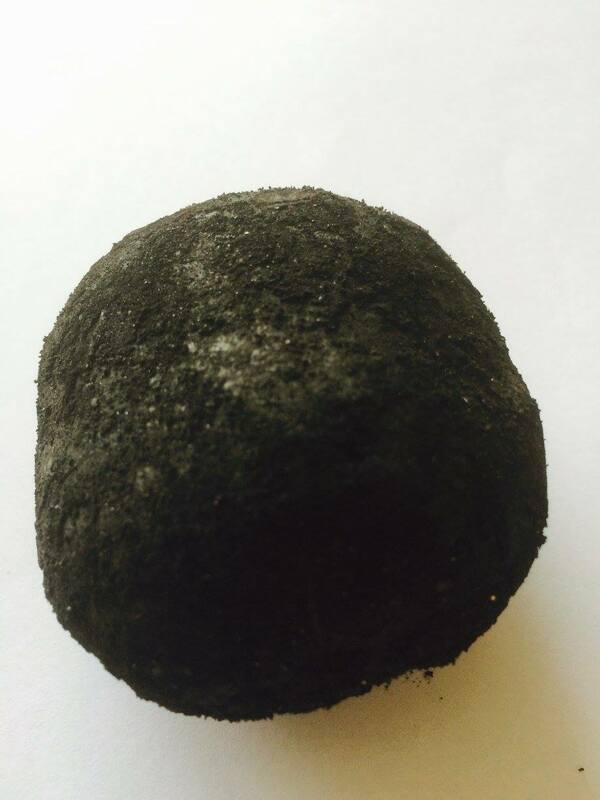 Smokeless fuels are usually solid fossil fuels – anthracite being the most common. They are similar in appearance to what you know as coal but are harder and shinier. They are typically smaller in size. They have high carbon content and have little impurities which mean that they give off more heat and produce hardly any smoke when burned. Coal can typically come from about 8,500 to 20,000 feet below the earths’ crust whereas anthracite between 20,000 to 25,000 feet. The majority of manufacturers will only permit you to burn smokeless fuels on their stoves. Household/bituminous coal/lump coal coal is not allowed as this type of fuel gives off too much smoke and soot which can cause blockages. The flames are long which pass the baffle plate and damage the body of the stove. It also tends to burn at too high a temperature which causes damage to your stove and flue. In any case smokeless fuels are better than coal as they have heating efficiency levels (more than twice that of coal), they burn for 40% longer periods and produce 20% less CO2. This is better for the environment and better for your pocket as you don’t have to refuel as often. Using smokeless fuels can be messy due to the coal dust and lighting a fire can be time consuming as the firebox needs cleaning first to allow good passage of air underneath the fuel. Anthracite is a naturally occurring smokeless fuel. There are many other manufactured fuels that are usually sold by a brand name. The manufactured brands are typically anthracite that has been ground down and then reformed into briquettes using binding agents such as molasses and starch. Some companies mix anthracite with other materials to form smokeless fuels. A material some non-approved companies use is petroleum coke. 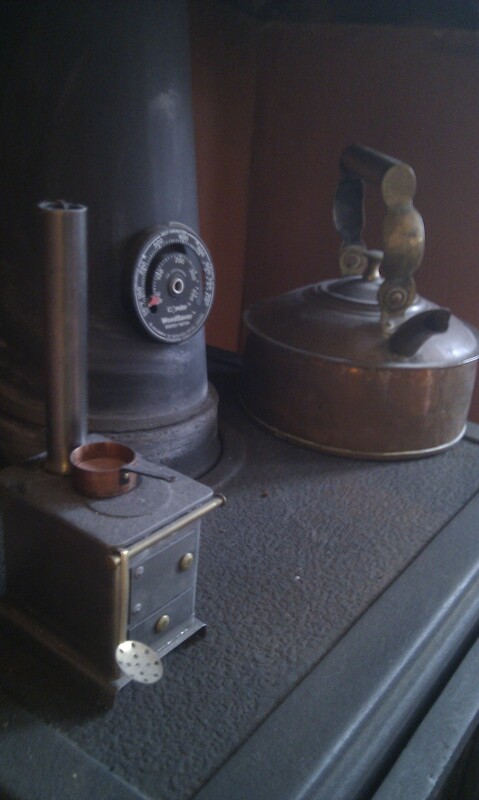 “Pet coke” is very bad for a multi-fuel stove, as it burns at such a high temperature. Consequently as mentioned above, it tends to damage the body of the stove and flue components. HETAS have tested and approved many solid mineral fuels which can be found by clicking here. I would only recommend that you purchased products from this list. My favourite is listed below. When buying smokeless fuel you should be buying from a supplier that is a member of the Approved Coal Merchants Scheme. They will be able to guide you about how much you want to spend and what you should be expecting from each type of smokeless fuel; its efficiency, ash production and duration; All very important factors. Brands may include: Ancit, Briteflame, Coalite, Cosycoke, Homefire, Maxibrite, Newflame, Pureheat, Therma – amongst many others. We personally think that Maxibrite is one of the better smokeless fuels and would recommend this. If you are using smokeless fuel and wood together, start the fire with logs, get a solid base of charcoal embers, riddle the ash away, then introduce the smokeless fuel. This saves you from clearing out the ash before starting your fire. Never add smokeless fuel and wood together as the extra amount of ash produced from the smokeless fuel will mix with the water and produce a thick tar that will occlude your flue. There has been a lot of bad press of late associated with stoves and fuel. It’s all to do with air quality – and rightly so. However the facts have not been forthcoming and the official news is that it is actually OK to burn wood. The point being is that the wood you burn should be under 20% moisture content. Using a new stove that is clean burning and efficient is also beneficial. Using logs that are over 20% moisture content (wet/green logs) and burning these on open fires and old stoves is detrimental to air quality. FACT. On the back of this news, the Government released the Clean Air Act in January 2019 – outlining their plans in how to improve air quality. They support the use of new generation – EcoDesign Ready stoves and well seasoned logs (under 20% moisture content). There have also been public awareness campaigns, set out by professionals within the solid fuel industry. Burnright is one such campaign and is doing fantastic things at uniting various professionals within the trade – with the message of informing the public what and how to burn fuels on fires. The Solid Fuel Association (SFA) are the official body that represents the solid fuel industry in the UK. The SFA lists members from both the Approved Coal Merchant Scheme and the Approved Woodfuel Merchant Scheme. Both schemes protects buyers by providing quality fuels and are bound by a code of practice. You can search for your local merchants on their website by clicking on the logo. We recommend well seasoned logs or Kiln Dried Logs as your source of wood fuel. Shop around and see what deals are available. Our customers let us know each year what they have found and who they like. Cornish Firewood manages woodlands and forests in Cornwall working closely with Estate owners, farmers and landowners to ensure woodlands are properly managed promoting healthy growth and actively managing replanting schemes to ensure the sustainability of timber for future wood fuel supply. As for smokeless fuel, we think that Maxibrite is the best smokeless fuel out there. K Abrahams based in Redruth and Semmens in Penzance can supply this product. Wood: Buy it by the cubic meter. Expect to burn between 1-2 cubic meters for a 5Kw stove throughout winter depending on what type of wood you buy. Smokeless fuel: Buy in bulk also and from an approved coal merchant. This all depends on how you use your stove, how often you use it, what type of wood and multifuel you use and what the suggested refuelling rate of your stove is. We will be able to give you an accurate measurement if you wish based on the these factors. However for a 5Kw stove, people typically tend to burn about 7 logs per night, consisting of a mixture of hard and soft wood and re-fuel every ¾ hour. Multifuel typically comes in 25kg or 50kg bags and usually ordered in bulk of about 20 x 25kg bags. Each 25kg bag should last you about 3-5 nights of good burning. You can buy wood by the bag/net or for better value for money, buy it by the cubic metre. The minimum purchase is typically 2 cubic meters. This will fill the back of a pick-up and will contain approximately 500 logs – obviously depending on the size of the logs. Kiln dried logs can be delivered in nets or bags and are much easier to store. You don’t have to shift all the logs (by wheelbarrow is the easiest) individually to your storage area. You would typically burn 4 softwood logs to every 3 hardwood logs as hardwood lasts longer. Consequently softwood logs are cheaper than hardwood logs as softwood burns faster and doesn’t last as long. All fuel has a calorific value. This is basically the amount of heat it can produce. Typically the denser the fuel, the higher the calorific value. Hence hardwood produces more heat than softwood, and is therefore more expensive. Certain breeds of wood will have a higher calorific value than others. The same applies to smokeless fuel. Kiln dried logs will have a higher calorific value than “seasoned” logs, as the water content will be less. This means that you’ll get more heat from the log as the fires purpose is not to dry it out for as long. The longer it takes to dry, the less heat you get. Try putting a freshly cut log onto a fire. It will hiss and spit and give off hardly any heat. Now put a kiln dried log on. The difference will be amazing. You’ll immediately feel the heat from the log. You might as well pour a pint of water onto your stove if you use a wet “green log”. We always recommend using a moisture meter to test the water content of your logs (probe the split part of the wood, not the end or the bark). You need them to be 20% moisture content and under. Any more, leave them alone or send them back! Calorific values are also given to different types of wood; some woods have a higher calorific value than others. For example oak, beech, birch and ash are considered to be the best with calorific values of between 4.1 and 4.5 Kw per Kg whilst poplar and pine are some of the worst having a calorific value of 2.6 Kw/Kg. Incidentally poplar is considered a hardwood so you don’t want to be paying more for hardwood when you’re getting poplar. The calorific value should be taken into consideration when purchasing wood and smokeless fuel. This is going to vary in price from one region to another. Buying in bulk is going to be economical in the long run – so buying about 20 bags of 25kg smokeless fuel and 2 cubic metres of logs is going to work out better than nipping out to the local garage and buying a bag or net at a time. The quality of the wood may also be affected, although this may not always the case. Smokeless fuels that have high efficiencies and low amounts of ash are going to be more expensive than other types of smokeless fuels but you should expect to pay about £15.00 for a 25kg bag. Softwood seasoned logs can be about £80.00 per cubic metre compared to hardwood seasoned logs at about £100.00. Expect to pay about £130.00 per cubic metre on kiln dried logs. Delivery is usually included if it’s within 5-10 miles but thereafter will be charged per mile. 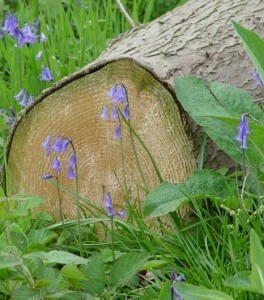 Remember the closer the wood is sourced to where it is grown makes this an even more environmentally friendly product. Click here to find quality fuel suppliers listed by HETAS. Maxibrite – approximately £15 per 25Kg bag – You’ll probably use in the region of 4-8 bags per month. Less if you use wood too. If you’ve got a freshly cut tree, it first needs to be split. It then needs to be stacked and stored off the ground in a ventilated area under a waterproof cover – if you are prone to rain blowing horizontally then the sides exposed should have temporary rain covers too. The air/wind will help in the drying process – just as clothes on a washing line on a windy day dry out faster. Even if you have kiln dried wood, it still pays to store these in a ventilated dry area so that the moisture content can be further reduced. Depending on the type of wood, the seasoning process is altered. It typically takes between 1-2 years to season logs to get them under 20% moisture content. In the right conditions beech can season twice as fast as ash. The simplest way to make a wood store would be to use a pallet on the base and other pallets on the back and sides with a gradual sloping waterproofed roof to keep the logs dry. It might be crude but it will work. If you’ve been abroad in the mountains, you’ll notice that all the homes in the towns have copious amounts of storage for logs. They have an organised storage method that is rotated yearly. Fresh wood is cut, brought into town, chopped and stored in well vented, sunny areas. In the UK, we haven’t got our heads around this yet although many of my clients have a wood rota system. Chop the logs, stack them in a vented log store and check the moisture content (probe the split part not the bark or end bits). If the moisture is above 25%, let them rest. Even if you’ve bought seasoned logs from your supplier, I’d recommend putting them into proper storage so that they can dry out even more whilst you’re waiting to use them! Rain water will hardly affect the moisture content of the log. Unfortunately, you are not legally permitted to forage for wood. If you’d like to collect wood from land then the general rule is to seek the permission of the landowner as whatever lies within the land is the property of the owner and removing wood would technically be theft! If the land is public it is likely run by the Forestry Commission. Previously under the Magna Carta the common man was entitled to enter forests and take deadwood for firewood but in 2008 this all changed due to – yes you guessed it – health and safety reasons! The only exception to this rule comes under the right of “estovers” whereby the deeds to a property entitles them to a supply of firewood provided by the Forestry Commission. There are many gadgets that you can get but the list below is what we believe is all that you need. Some of the products may not be feasible but if they “fit” then you should definitely consider them. Stove glove(s) – You’ll likely get one of these with the stove and are “handy” for opening the door as the handle can get very hot. I’d suggest buying a cheap oven glove too to use as a “feeder” for your fuel when the fire is lit. Moisture meter – use one of these to assess the moisture content of the log. They are typically 2 or 4 pronged devices that you stab into the wood – specifically on the inside split part of the wood to gain a true digital instant reading. 4 bladed stove fan – these are designed to sit on top of the stove and are powered by the heat of your stove. They start spinning about 1000c and work away quietly moving the air around the room distributing it evenly so that all the hot air is not static above head height. There are typically 2 varieties of stove fan – 2 bladed and 4 bladed versions. The 4 bladed versions are more expensive but more efficient. Stove glass cleaner – this is an amazing product that you use with minimal elbow grease to clean your glass. It’s similar to a sponge scourer that you’d use to clean dishes with but this product is designed for stove glass and cleans without scratching the glass. As with the scourers there are 2 sides to the product – one being for stubborn stains. Metal bucket – important to use when cleaning out your stove as the ash may be hot and would normally burn through other containers. Stove vacuum – cleaning your stove involves removing ash. If you have a multifuel stove and are using smokeless fuel, then the cleaning process will be more frequent. You will need to empty the ash pan regularly and if you don’t want to disturb the ash, then it’s worth investing in a small stove vacuum that can be used solely for the stove without stinking out your normal vacuum. Multifuel scuttle or hod – used to store and feed multifuel into the stove. Stove thermometer – these have a magnetic back and attach to the flue pipe that comes from the stove. They are typically placed about 12” above the top of the stove. To be honest some cheap versions give inaccurate readings and are more trouble than they are worth. The best way to judge how your fire is doing is simply to look at it! Ensure that the flames are not too big and that the fire isn’t roaring away once you have it lit otherwise you’ll be burning through lots of wood and it will cost you dearly in the long run. You should always be aiming to have some kind of flame and ideally this should be a lazy flame. See How do I light my fire? for more information. Companion sets – mostly used for open fires. They are only really semi-useful if you have a multi-fuel stove – and to be honest the only really useful tool for a multi-fuel stove is the “coal” feeder. Scoops can be cumbersome and “grabbers” need to be sufficiently large and capable so that you are not loading one briquette at a time as this can take a long time. A spare set of oven gloves are handy to keep inside the smokeless fuel store for this purpose. I like it all except for the “Ash green & wet” bit. Particulate emissions obviously weren’t that big back then!